Learning to make quick decisions during child birth can mean the difference between life and death. 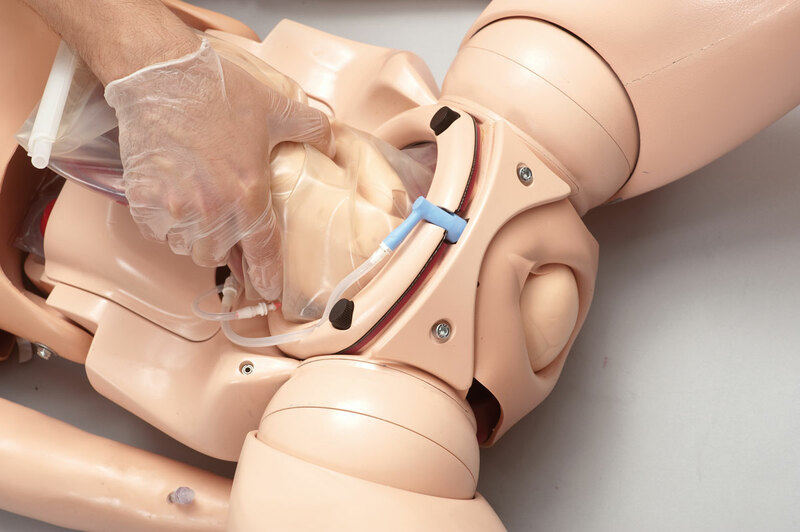 SimMom provides a tetherless training solution for novice learners and healthcare providers alike to practice and prepare for critical events so that more lives can be saved. SimMom can also be fitted with a non-gravid abdominal skin to expand the scope of your simulation training. Early stage pregnancy cases can now be simulated as well as expanding the use of SimMom into a non-pregnant female patient simulator. SimMom focuses learners on all stages of labor, from ante partum to post partum. SimMom is available with both manual and optional automatic delivery modules which allow for consistent training and competency development. 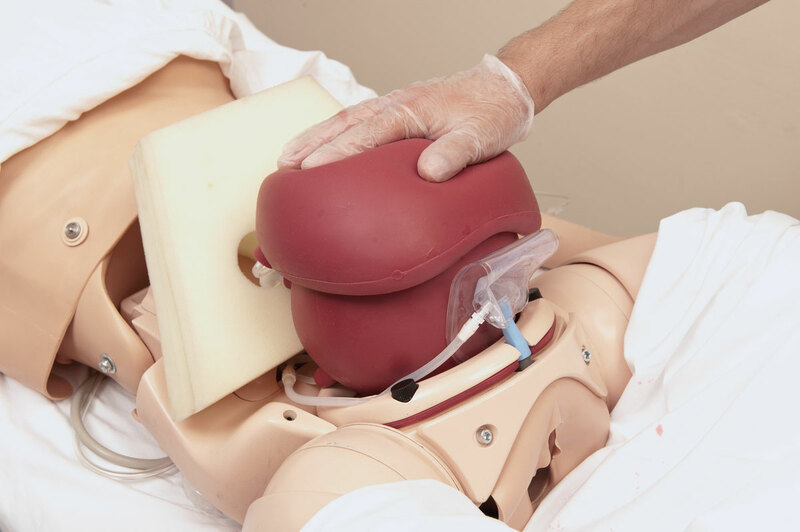 Expand your simulations with options of a flat abdomen and the Laerdal SonoSim ultrasound solution for diagnostic training. This versatility allows learners to address simple general women's health care and complex obstetrical scenarios. SimMom provides opportunities for enhanced in-situ training with cross functional teams, from the ER to OR. 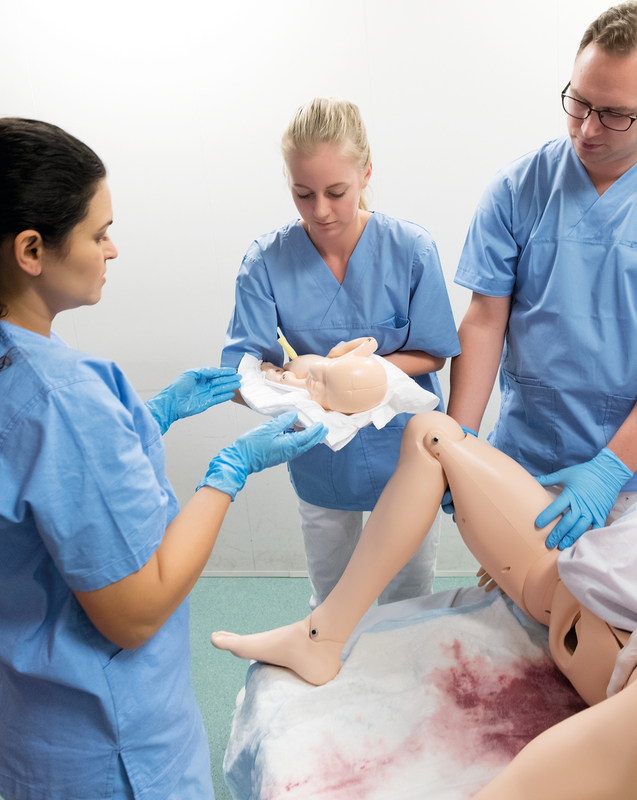 SimMom is our most advanced labour and delivery simulator yet is easy to use and adaptable, allowing instructors to accommodate individual student or team learning needs at basic or advanced levels. An instructor can freely walk around the room whilst they assess and control a training session using a wireless connection. This makes SimMom ideal for training In-Situ which has been shown to have a positive correlation to improving team performance and reducing patient risk. For training in pre- to post-natal care. As a hybrid trainer or full body patient simulator. With or without the optional Automatic Delivery Module. An optional Ultrasound Solution has been embedded to gravid and non-gravid abdomen skins to help improve point-of-care diagnostics training, and visually determine the health of the fetus and mother. Interested in adding automatic delivery to your training? 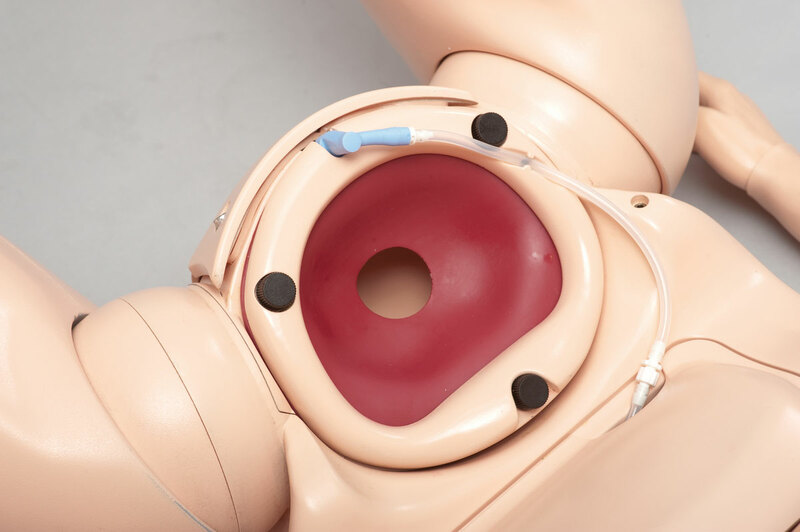 Optional Automatic Delivery Module can be used with new and exisiting SimMom simulators to run automatic and manual birthing scenarios in training. Adds standardisation to every training session allowing instructors to concentrate on evaluating students. What scenarios can you run with SimMom? Customisable scenarios and real-time instructor controls allow scenarios to be adapted and developed to your unique learning objectives. Pre-programmed scenarios developed specifically for SimMom in conjunction with PROMPT and the NLN include normal and operative vaginal deliveries of infants, vaginal delivery with shoulder dystocia encounters and breech infants. From simulation novices to sophisticated developers, SimCenter has the tools and services to help users realise their full potential. Visit laerdal.com/SimCenter to learn how to optimise your simulation training. Standardized scenarios from SimStore offer expert authored validated content that help to boost your productivity, while ensuring consistent educational experiences for your learners. SimManager is a suite of online tools that enables you to fully maximize the information gathered from your simulation education program. 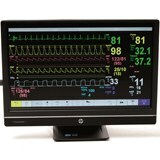 Operate this simulator, as well as all other Laerdal PC-operated simulators, with LLEAP software. LLEAP brings simplicity to running simulation training and efficiencies to the management and development of scenarios. 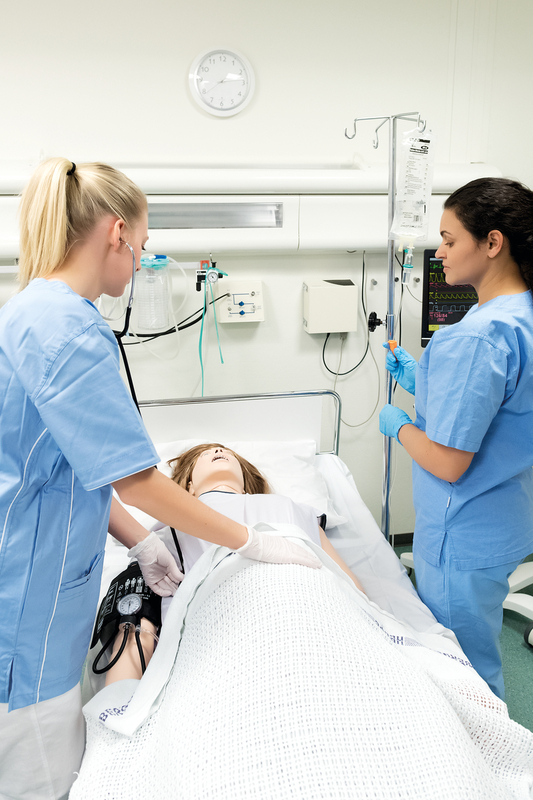 From basic assessment scenarios to highly complex clinical cases, LLEAP offers ease of use while delivering the performance required by even the most experienced simulation user. 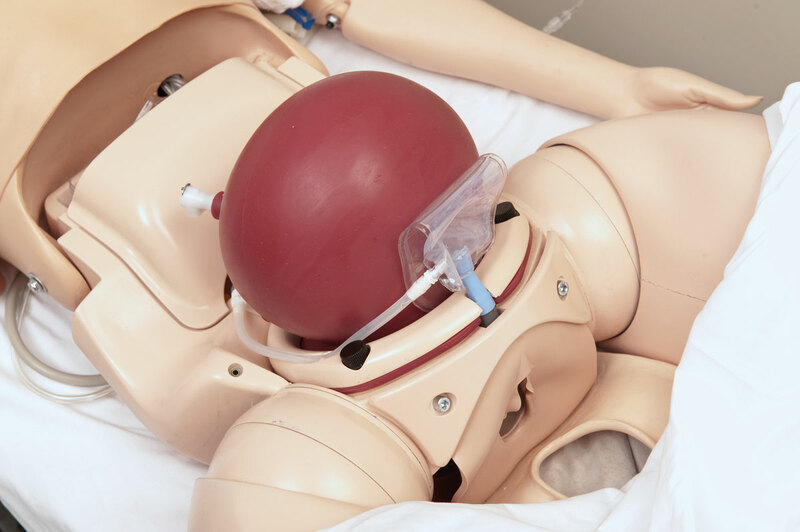 By combining specialised knowledge gained from the successful healthcare simulation products Prompt Birthing Simulator and ALS Simulator, we believe SimMom is the best the market has to offer. 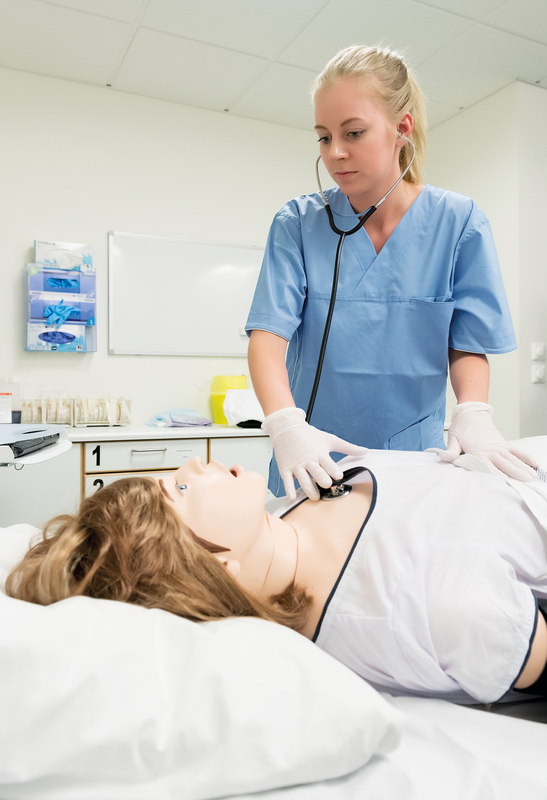 Laerdal has given SimMom an easy-to-use, full-body simulation system whilst Limbs & Things brings a level of realism, both in terms of anatomy and obstetric experience, to the product. SimMom is an advanced full body birthing simulator with accurate anatomy and functionality to facilitate multi-professional obstetric training of birth management, with both manual and automatic delivery modes. Cervix: The durable silicone cervix can dilate from 4 cm to 10 cm. The cervix module is used with the Birthing Baby for deliveries. Amniotic bag: The Birthing Baby can be used in the amniotic bag to extend the level of realism during delivery and to simulate the rupturing of the membranes during delivery. Post-Partum Hemorrhage: Atonic uterus can be recognised and managed. Pressurised fluid reservoirs allow for simulated blood and urine to be used during a PPH simulation. A placenta with retained lobe can also be placed inside the uterus and manually removed. Uterine Inversion: Uterus inverts when traction is applied to the umbilical cord. This module allows for recognition of inversion as well as manual replacement.